The Global Champions Tour, the most prestigious show jumping series in the world, is hosted by Vienna for the first time. The best riders in the world ranking appear at 5-start show jumping trials. Such a high-class jumping tournament has never before been held in Austria. A 4-star dressage competition gathers together the elite of this discipline. Set against the backdrop of Vienna City Hall in the center of the city, there's more on offer than just top-level sport: the program ranges from a spectacular jumping show to celebrity riding demonstrations and amateur competitions to a performance by the Spanish Riding School on the Sunday. The area lets fans dive into the world of horses. Numerous exhibitors present new and tested products related to horses and horse riding. Multimedia installations and events from the areas of music, theater, dance and film, as well as a fashion show provide the cultural supporting program; the food area fulfills culinary wishes. There's no shortage of evening celebration at parties and clubbings. The partly covered spectator grandstands offer space for more than 4,000 visitors. 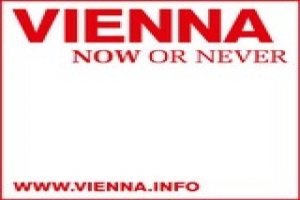 On the Thursday, Friday and Saturday, all competitions of the Vienna Masters can be attended for free into the afternoon; an admission ticket to the grandstand places is required for the top tournaments that follow and on the Sunday. The dining zone and exhibitor pavilions in front of the riding arena can always be accessed free of charge. 280 million households in 59 countries will follow the competitions in television broadcasts. Swarovski at its Best in the heart of Vienna..